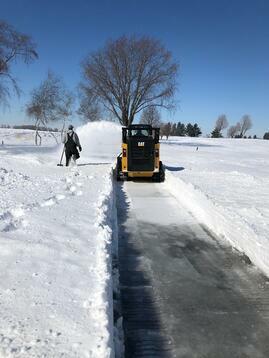 Two weeks ago, the golf course was a full-on winter wonderland. Today, it seems spring has most definitely sprung. 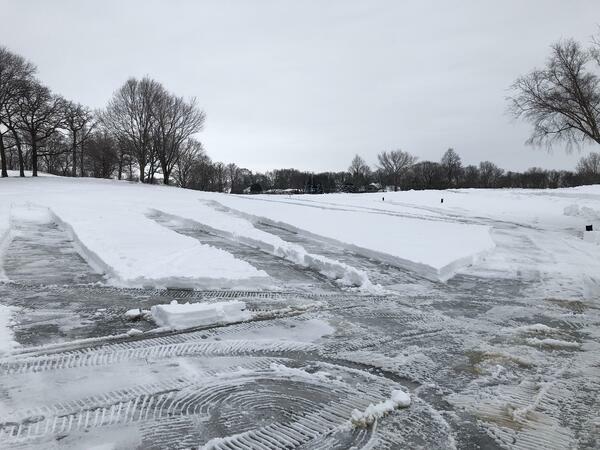 Mother nature-with a little assistance from the HNGC turfgrass team-has melted a lot of snow the past 14 days. Here’s a photographic recap. 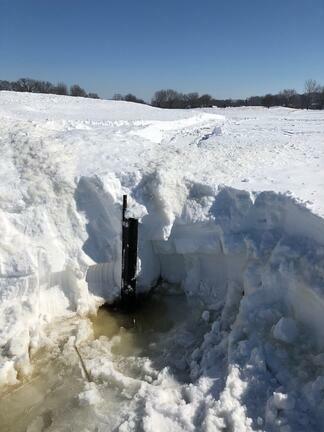 On March 11th, the snow was deep, this photo shows a drain tube, about four feet high, nearly completely covered. With up to two inches of rain forecast, paths were blown in the areas the turfgrass team knows water will be likely to flow. The paths also allowed the team to clear key drain inlets ahead of the expected rain. The photo on the left shows the seventh fairway just after the blowing of paths. The photo on the right shows similar paths on six fairway following the rain and a great deal of melting. The same drain tube as above, 10 days and a lot of melt later. These tubes serve three main purpose: 1) easy identification of the drains when it comes time to clear snow, 2) limit snow build-up due to wind vortexes. Think of the way snow blows away from the bottom of a tree. 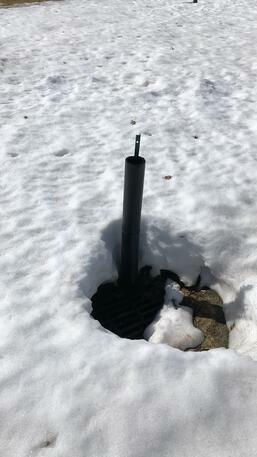 Finally, the tubes collect heat from the sun and melt snow away from the drains sooner than would happen normally. 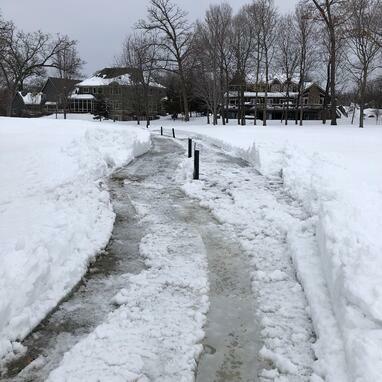 They’ve been a huge help this spring as the team worked to open drains and clear paths for melt water. So, what of our turf? If you recall, the day after Christmas we received about five inches of snow, a storm which eventually turn into rain totaling over one inch. This left about three inches of solid ice on the course. Soon after, a week of nearly 40-degree weather melted much of the ice. 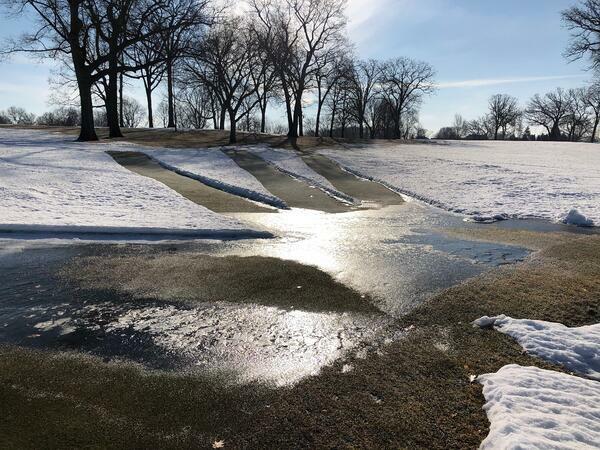 A melt that only served to expose much of our turf to air temps of -33 degrees. 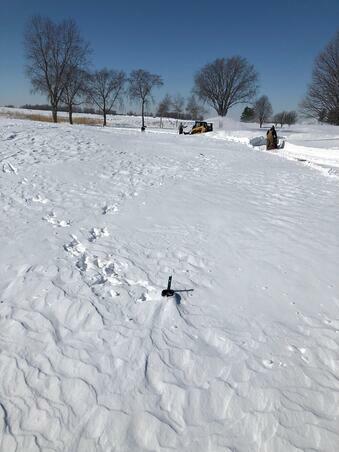 After the cold, the snow came, the cold stayed and the golf course disappeared. 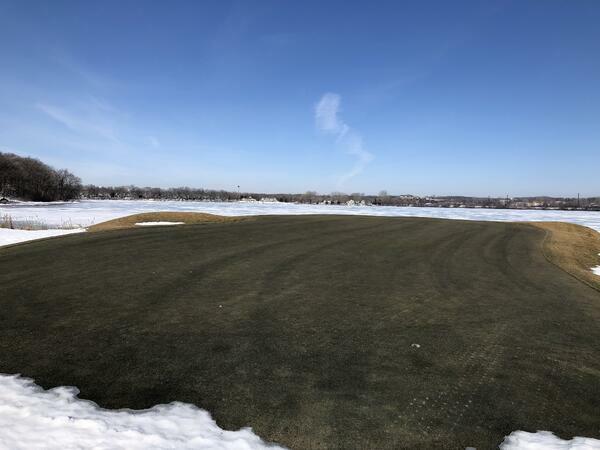 As the snow has melted and the turf emerged, I happy to say we are in excellent condition. I’ve not seen any sort of damage from the Christmas ice, or the January deep freeze. What can be expected for an opening day? April 15th +/- a few days, can always be counted on as a reliable opening day estimate. I don’t see 2019 being any different. There’s a great deal of frost in the ground and while mid-60s are in the forecast, there’s bound to still be some cold temps between now and then. One of the negative impacts on conditions last spring (2018) was the aerifying and topdressing performed very late in the fall of 2017. In response, aerifying last fall was limited to a DryJect on greens. Topdressing was only applied to putting surfaces and in smaller amounts than has been done in the past. I’m confident you’ll find conditions this spring much more to your liking. I’m always looking for the best way to provide the Hazeltine membership with timely updates on the golf course. Last season I dabbled in Instagram’s Stories; I’ve always felt each walk around the golf course was a bit of a story unto itself. and the story feature on Instagram is a perfect way to capture it. If you’re an Instagram user and wish to follow, you can find me at the username @ct_turf. This Instagram account is dedicated 100% to the maintenance of Hazeltine National, so you won't have to look at my kids or my fire pit. I use the same username on Twitter, where you’ll also find some updates, but also a bit more of a window in to my life as a golf course superintendent. I’ve used social media for many years, and I believe it’s the best way to share the story of managing Hazeltine with anyone who might be interested. I hope you’ll follow along.